In an observational study, it has been found that Metformin was associated with a lower risk of mortality than sulfonylureas both overall and in all categories of estimated glomerular filtration rate. Dr.Zachary A and associates conducted an observational, national cohort study in patients with CKD to evaluate whether mortality risk differs after the initiation of monotherapy with either metformin or a sulfonylurea in Veterans with type 2 diabetes and CKD.The participants included in the study were the ones who received care from the Veterans Health Administration system for at least one year prior to starting monotherapy for type 2 diabetes with either metformin or a sulfonylurea between 2004 and 2009. The study was published online in the Journal of General Internal Medicine. It was found that among 175,296 new users of metformin or a sulfonylurea monotherapy, 5121 deaths were observed. In primary analyses adjusted for all measured potential confounding factors, metformin monotherapy was associated with a lower mortality hazard ratio (HR) compared with sulfonylurea monotherapy across all ranges of eGFR evaluated (HR ranging from 0.59 to 0.80). A secondary analysis of mortality risk differences favored metformin across all eGFR ranges; the greatest risk difference was observed in the eGFR category 30–44 mL/min/1.73m2(12.1 fewer deaths/1000 person-years, 95% CI 5.2–19.0). The study authors concluded that initiation of metformin rather than a sulfonylurea in patients with type 2 diabetes and CKD was associated with a substantial reduction in mortality, in terms of both relative and absolute risk reduction.The largest absolute risk reduction was observed among individuals with moderately–severely reduced eGFR (30–44 mL/min/1.73m2). 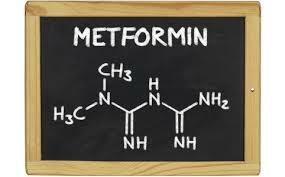 The findings support the FDA’s guidance to consider metformin initiation among individuals with an eGFR of 45–59 mL/min/1.73m2, and suggests that metformin initiation may be beneficial among persons with even more severe CKD,” the authors concluded.